Independence day and Maharishi Aurobindo Jayanthi was celebrated on 15.08.2018. Smt. 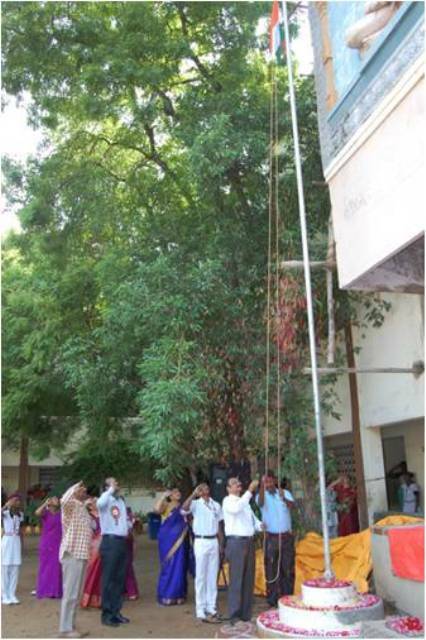 D. Archana, Manitham Madhipom Trust, Villivakkam hoisted the National Flag. 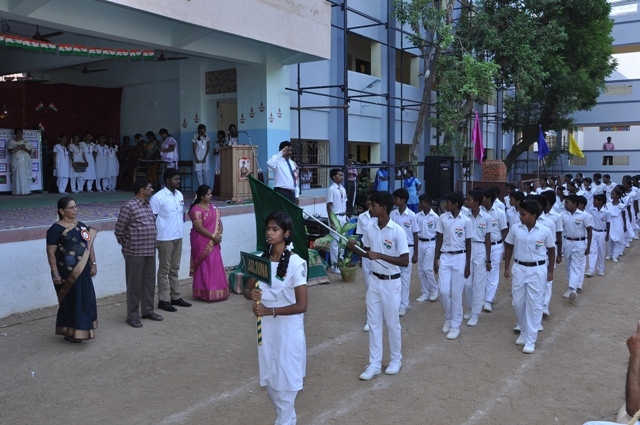 In Cultural Programme, a Skit, Group Song, Dance and Speech was given by the students. 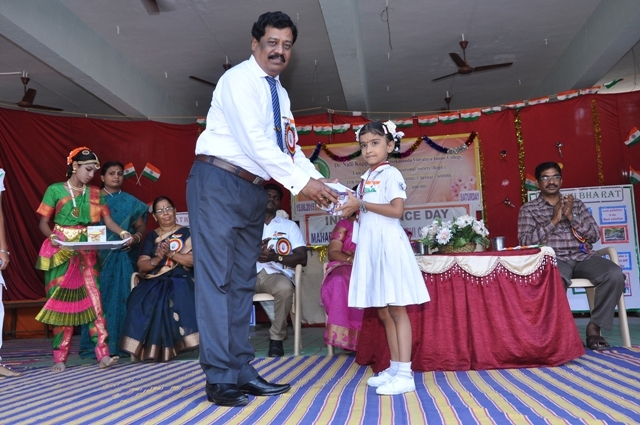 VES Inter School National Song prize winners were given the prizes. 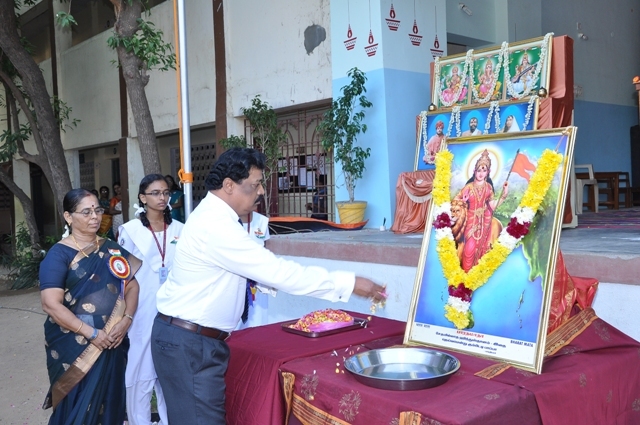 Independence day & Maharishi Aurobindo Jayanthi was celebrated. Lt. Col. S. Pooliah Dass, Officers Training Academy, Chennai and Sri. 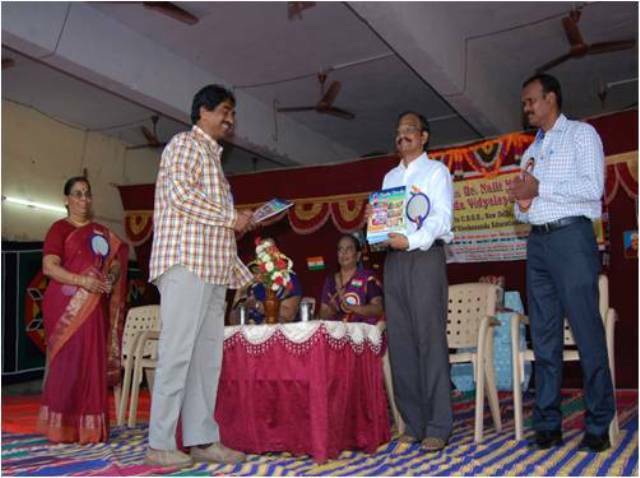 D. Rajakumar, Inspector of Police, Korattur were the chief guests. 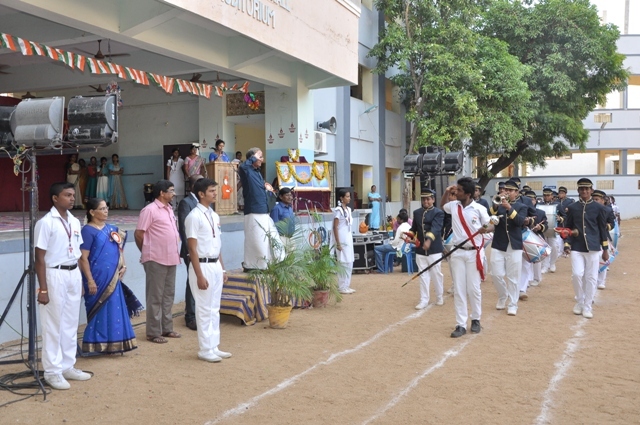 The Unfamiliar freedom fighters were given salutation and their contribution for freedom struggle was shared by the students. IIndependence Day and Sri. Aurobindo Jayanthi was celebrated in a grand manner. Sri. K. Ragavan Chennai Mahanagar Karyavah and Sri. 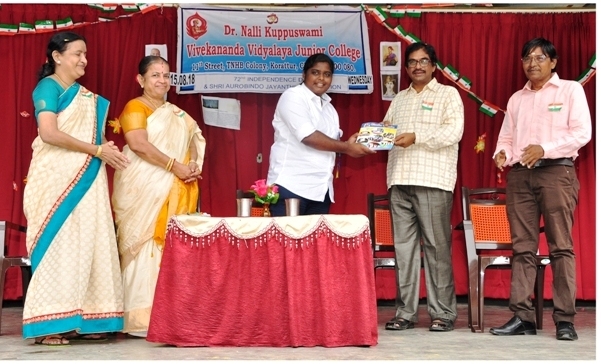 N. Thendral Alumnus were the chief guests. In the Cultural programme students gave dance programme. The prizes of national song competition winners were distributed. 69th Independence Day and Sri. Aurobindo Jayanthi was celebrated. Lion. C. Elangovan and Alumnus Sri. 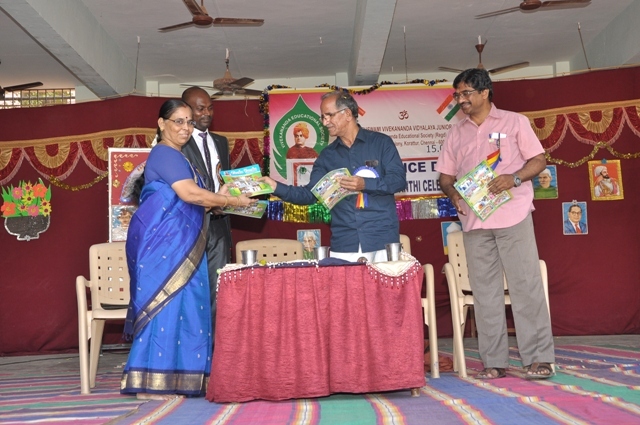 N. Karthy were the chief guests. 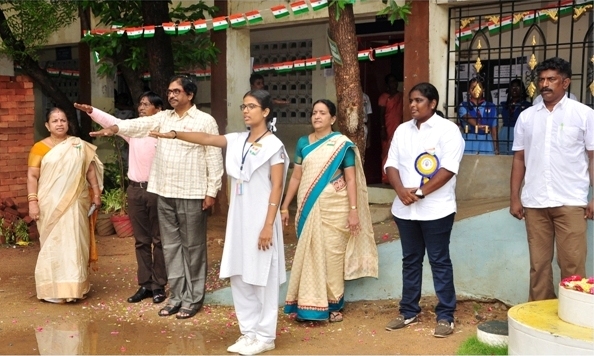 Our National Flag was hoisted by Lion C. Elangovan. The dignitaries and Staff members did floral offerings to the Portrait of Bharath Matha. This was followed by March Past by our students. 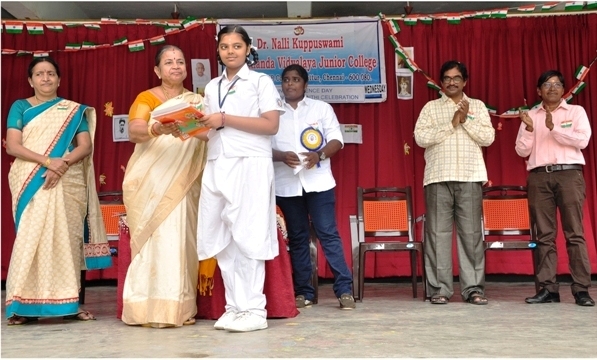 On the occasion of Maharishi Aurobindo Jayanthi a speech was rendered by our student Swathi of XI-C. 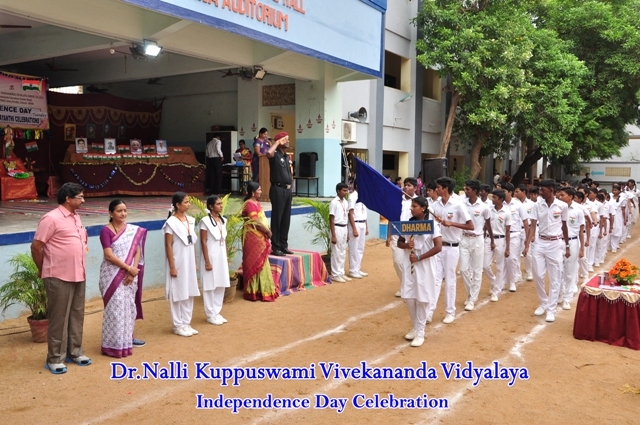 In the Cultural programme students gave dance programme and sang National Song. 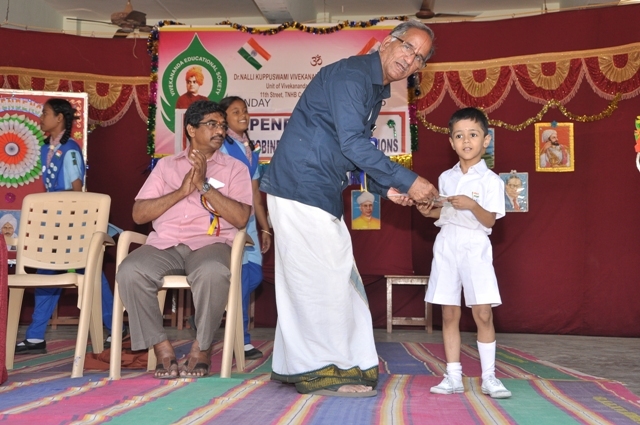 National Song competition was conducted for our students and the prize winners were distributed the prizes on this day. 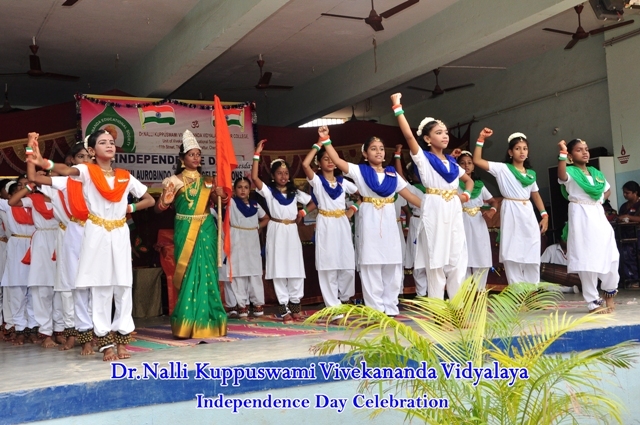 68th Independence Day was celebrated. Sri. M. Balachandran , CEO, Delta Engineering system and Smt. 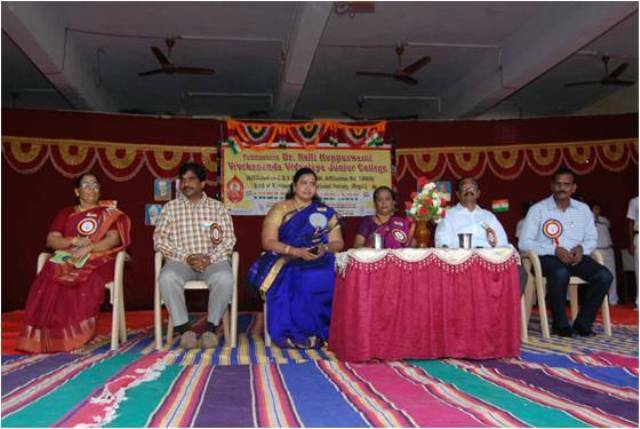 Vimala Ramaswamy, Alumni were the chief guests. 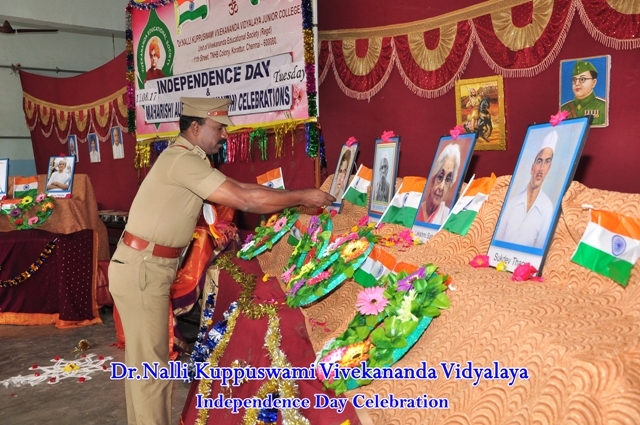 Independence day and Maharishi Aurobindo Jayanthi was celebrated. Smt. 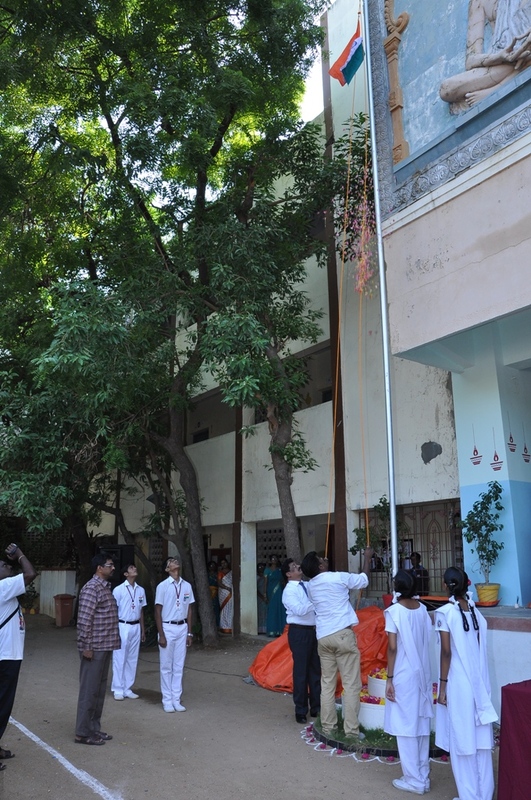 D. Archana, Manitham Madhipom Trust, Villivakkam hoisted the National Flag . 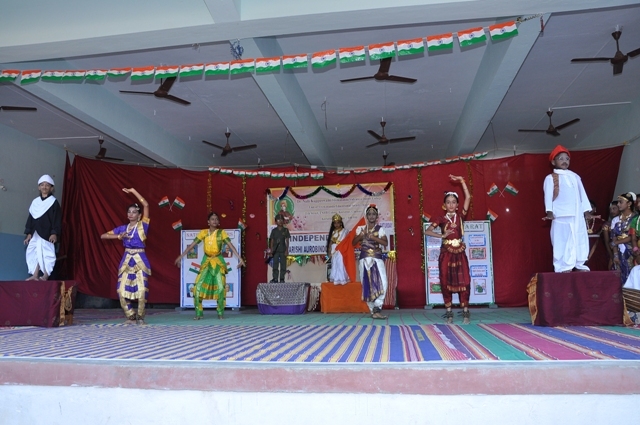 In Cultural Programme, a Skit, Group Song, Dance and Speech was given by the students. National Song prize winners were given the prizes.